Bihar Board recorded an 80.73 pass percentage in 2019 Matric exam. Bihar Board 10th Result 2019: The official websites which host Bihar Board 10th result has started crashing as the Bihar Board of Secondary Education (BSEB) Matric result released. Bihar Board recorded an 80.73 pass percentage in 2019 Matric exam. Last year, the Bihar Board pass percentage in Class 10 was 68.89 per cent. The Bihar Board 10th results which were expected to be released at 12:30 PM was later released at 1:00 PM. 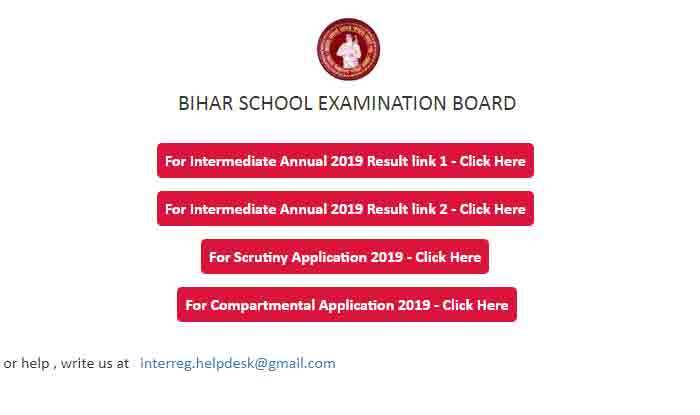 Step 3: Enter your roll number and the Bihar Board Class 10 matric results 2019 will appear. Step 4: Download the Bihar Board Matric result and take a print out for further reference.